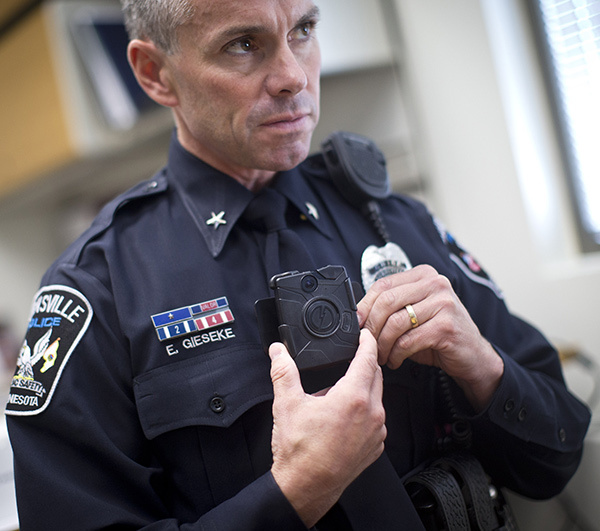 A Minnesota police officer sports a chest-mounted body camera. New York City is in turmoil in the wake of the July 17, 2014, death of Eric Garner at the hands of city police. On Dec. 3, demonstrations broke out after a grand jury declined to prosecute the officers. Then, on Dec. 20, two police officers were murdered in their car by a 28-year-old with a long criminal record as vengeance for Garner’s death. At the funerals, police have turned their backs on Mayor Bill de Blasio. Could police body-cameras, which record tense meet-ups between police and civilians, avert some confrontations and improve behavior on both sides? President Obama, for one, has advocated much wider use to reduce deaths among unarmed civilians. Cameras seem promising, but remember that Garner’s death only aroused such a furious reaction because his last minutes were captured on a bystander’s cell-phone video. Despite this frightening footage — and even after the medical examiner labeled Garner’s death “homicide” — the district attorney declined to prosecute the police who took him down in a chokehold. 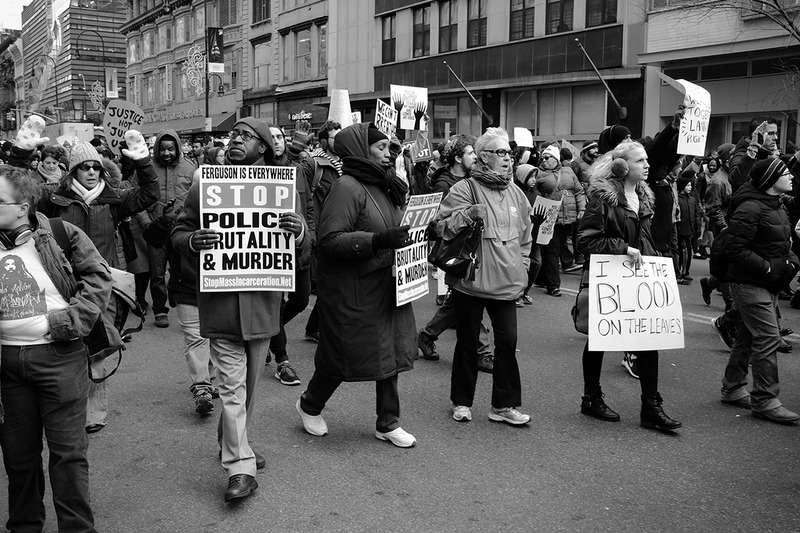 Protesters march against police brutality in New York City on Dec 13th, 2014. As the protests and counter-protests continued in New York, we noticed a new, controlled study1 showing that body-cameras reduced the use of force and complaints against the police in Railto, Calif.
And that’s doubly true for studies published in peer-reviewed journals. What’s a camera good for? Cameras may simply remind both sides that evidence of any wayward behavior will be gathered, but they can also invoke a mechanism called “social surveillance.” This is an idea from social psychology that people are more likely to follow behavioral norms — to act as they should — when someone is watching. So what do we know about cops and cameras? Rialto police recorded more than 43,000 contacts with the public per year, with the year of the body-cam experiment resulting in fewer accounts of use-of-force and filed complaints. Notice this occurred for officers with and without cameras. The new study just mentioned, touted as the first controlled experiment of body-cams, ran for one year in Railto, a city of 100,000 east of Los Angeles. The 115 police officers in Railto work 54 shifts per week; during the experiment, half of the shifts wore HD body-cams, and the other half did not. The experiment had the cooperation of police chief William Farrar, a co-author of the study. For organizational and statistical reasons, each officer took part in both the control and experimental wings, meaning they wore the cams on some shifts, but not others. Officers were instructed to “film” during any interaction with the public aside from interactions with informants or related to a sexual assault on a minor. The cameras were visible, but officers were also told to announce their presence when an interaction with the public began. At the end of each shift, audio and color video was downloaded into a web-based evidence management system. The study defined use of force as involving pepper spray, baton, Taser, dog bite or gunshot — anything stronger than a “compliance hold” (a wrestling technique that causes pain at a joint or pressure point). The researchers focused on the use of force, and neither measured the amount of force nor whether it was justified. The results were almost too good to be true: compared to the prior year, use of force declined by 58 percent. Citizen complaints dropped by 88 percent. Despite at least one emailed interview request to each of the three authors, none responded. But it’s fair to say that even before their study was published in the scientific journal, it was being used to justify wider police use of body-cams. 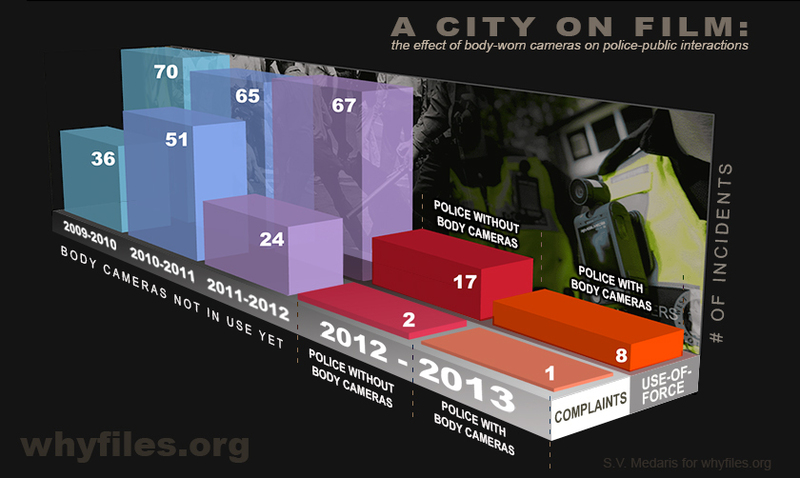 The new study added to a scanty record of study of cameras, crime, policing and police behavior. We located a study4 of dash cameras on state police cars, written in 2001, when the cameras were already mounted in 72 percent of state-police patrol cars. Surveillance cameras on the corner of a building. Their effectiveness depends on placement — and on the boredom and sleepiness of whoever is monitoring them! Mounted cameras — the kind that helped finger two suspects in the Boston Marathon bombing — have become a fact of life in cities. A 2009 analysis5 of 41 systems, mainly in the United Kingdom, but also in the United States, Sweden and elsewhere, found a modest, 16 percent reduction in crime, with almost all of the improvement coming from a 51 percent reduction in six “car parks” (parking lots) in the United Kingdom. A district attorney shows video of officers checking the ID of a homeless man. When he pulls a knife on them, they give chase and eventually shoot him. The DA explains why the officers are not charged, based partly on the video evidence. 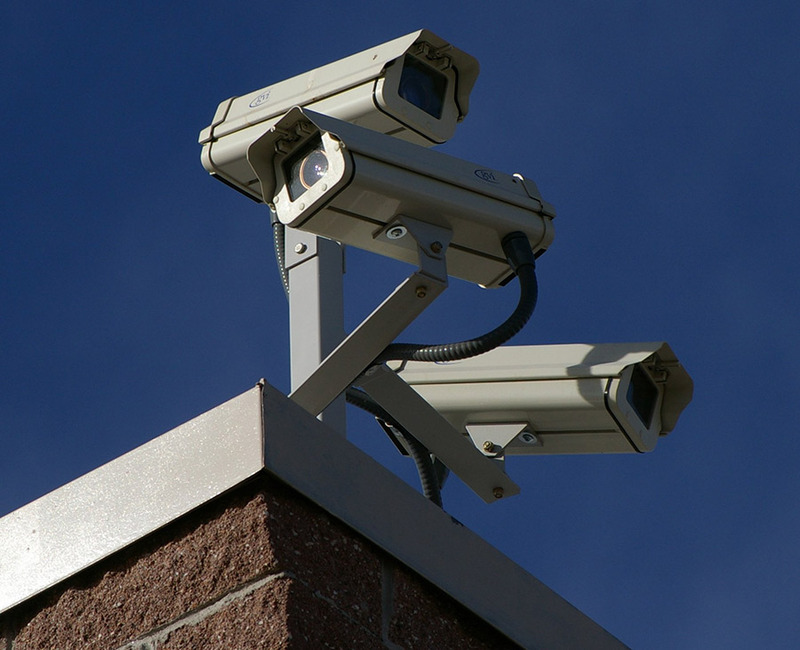 The first hurdle in evaluating a surveillance system is surprisingly tough: choosing a basis for comparison. Another section of the same city (or a similar part of a different city) may have different rates of crime or aggressive behavior by police or civilians. If you compare the same area before and after the cameras are connected when the background crime rate is changing, how much of the effect you see is really attributable to the cameras? With those concerns in mind, what does a 2011 study6 tell us about surveillance cameras installed during the mid-2000s in Chicago, Baltimore and Washington, D.C.? After more than 50 cameras were installed in downtown Baltimore, violent crime went down 23 percent, and total crime, down 25 percent. However, crime also declined 30 percent in areas within 1,000 feet of the cameras. (Neighboring areas are always of concern due to fear that the cameras may just budge crime sideways without actually reducing it.) Furthermore, the 35 percent decrease in on-street larceny started one year after camera installation. If cameras caused this effect, why the delay? The installation of 50 on-street cameras resulted in a significant drop in crime in downtown Baltimore. Few eyes, many screens. 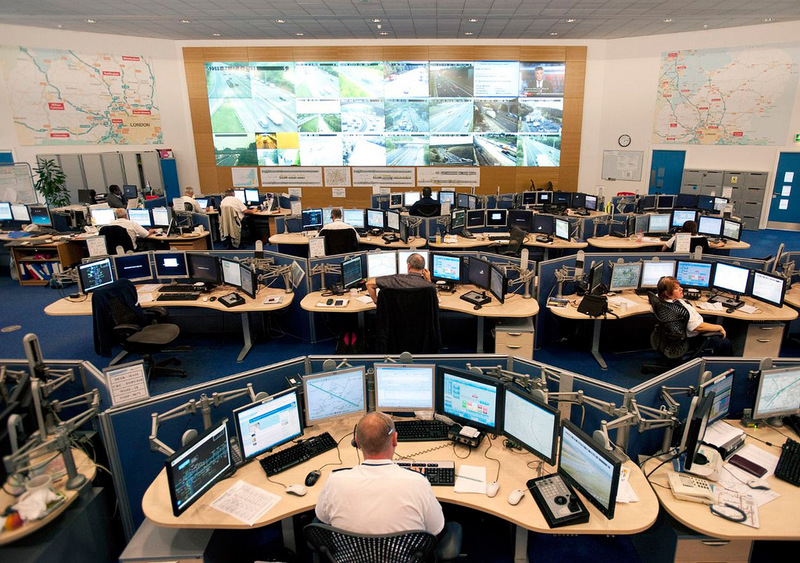 British highway patrolmen survey countless monitors fed by security footage across Britain’s roadways. Ubiquitous video cameras have changed policing as they have changed other realms of modern life. While recent events have placed the focus on preventing abuse of authority, the original motivation was to prevent crime or aid the prosecution. For fixed cameras, used for remote monitoring of streets, parking lots and buildings, both the density of cameras and the intensity of monitoring matter. The location of monitoring sites and the identity of monitors may be regulated to allay privacy concerns, but excess restrictions can obviate benefits. In the ineffective Washington system, for example, all camera feeds went to a central office, where video feeds could only be monitored when a police lieutenant was present. Police departments have much wider access in other systems, which may increase the chance of noticing aberrant behavior. Monitoring can be boring, and when the person watching the monitors is inattentive or sleepy, the result may be a false sense of security. Finally, consider the “CSI effect.” Prosecutors worry that once cameras become widespread, judges and juries will begin to expect a video record of crimes, and will subconsciously downgrade other forms of evidence in favor of whatever can be verified via video. Sleep: It can enhance memories! Lies and liars: Can you catch them? Radio ID Tags: Are They Really EVERYwhere? Committing Crimes in Crime Labs?